Using 100% Pharmaceutical Grade Nicotine, Highest Quality PG and No Artificial Sweeteners. 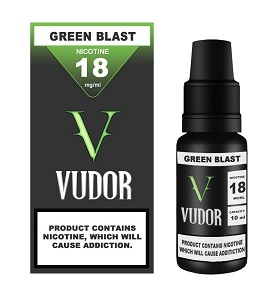 Based in Ireland the team at Vudor are made up of some very experienced members of the vaping community alongside professionally qualified analytical Chemists. The Vudor team have developed perfectly balanced e-liquids to suit a wide range of units, meaning these liquids work perfect in any type of device at all. 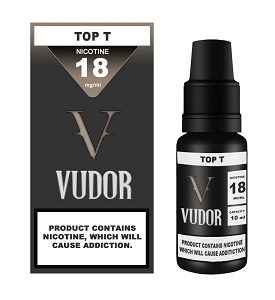 "We always knew that 60% VG & 40% PG would be the best possible starting point for our liquids, and we based our formulations on this ideal". All of the Vudor range perfectly replicate each flavour and when it comes to Menthol or Tobacco flavours no other e-liquid brand comes close. 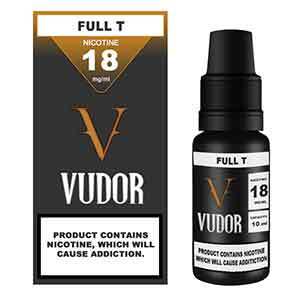 if you are looking for a range of e liquid's that don't destroy coils and you won't get sick of then VUDOR is the one for you.